One of the best in-universe, sci-fi, tie-in books that we have come across is part of this year’s celebration of the 30th anniversary of James Cameron’s Aliens. 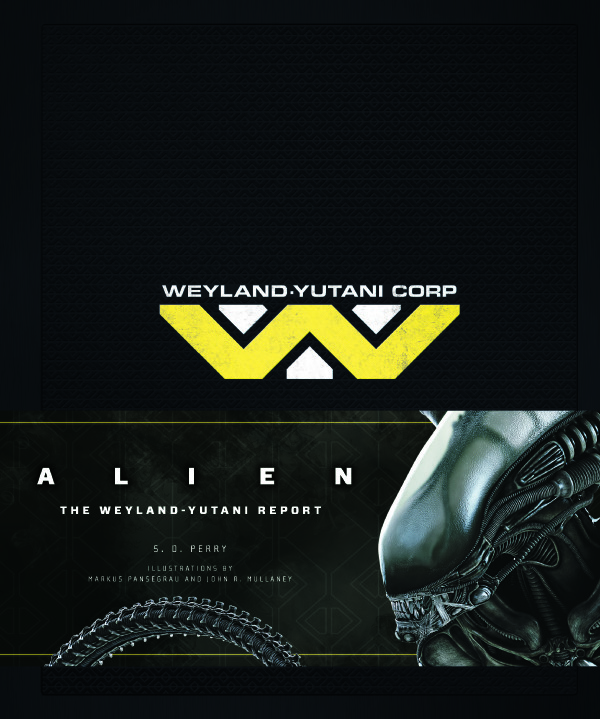 Insight Editions’ Alien: The Weyland-Yutani Report is not only a great idea–a book that could have been a movie prop used by the likes of Paul Reiser’s junior executive Carter Burke–its execution is superb. Remove the title wrap and you have a mock leather-bound, heavy duty field guide that you might see passed around by the corporate types in the next Alien movie. Written by Aliens, Star Trek, and Resident Evil tie-in novelist S.D. 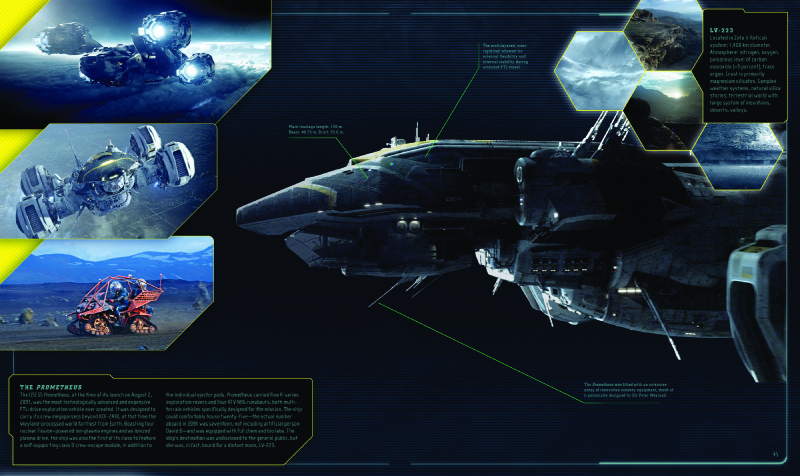 Perry with lavish artwork and designs by Markus Pansegrau and John R. Mullaney, The Weyland-Yutani Report pulls out all the stops to deliver a comprehensive Board of Directors summary guide to the findings and technology uncovered with the Alien movies beginning with Ridley Scott’s prequel Prometheus in 2012 to 1979’s Alien, to Aliens (1986), Alien 3 (1986), and through to Alien: Resurrection (1997). (The Predator crossovers are not covered in The Report). The most eye-opening data ties together–in a manner more clearly than portrayed in the films–Weyland-Yutani corporation and its founder Sir Peter Weyland, from details available in the films and information that was only character background that didn’t make it into the films. The goals of the corporation that were the fabric that connected all the films is investigated with some top secret findings (and some redacted), including the hierarchy and gross (as in chestburster) anatomy of the Xenomorphs, groundbreaking (future) scientific achievements of “The Company,” as well as weapons, ships, tools, and theories of alien beings and their connections to early Earthlings. (Learn even more about “The Company” at the corporate website here). Every major movie franchise deserves a great-looking, thoroughly researched, and comprehensive account like this, and the creative format of The Report sets a new standard for movie film tie-ins. The incredible cast of actors alone that are brought together here is astounding, too, everyone from Charlize Theron and Idris Elba to Michael Fassbender, Winona Ryder, Ron Perlman, and Veronica Cartwright, from Tom Skerritt to Michael Biehn, Ian Holm, John Hurt, Yaphet Kotto, and, of course, Sigourney Weaver, all in one book, with H.R. 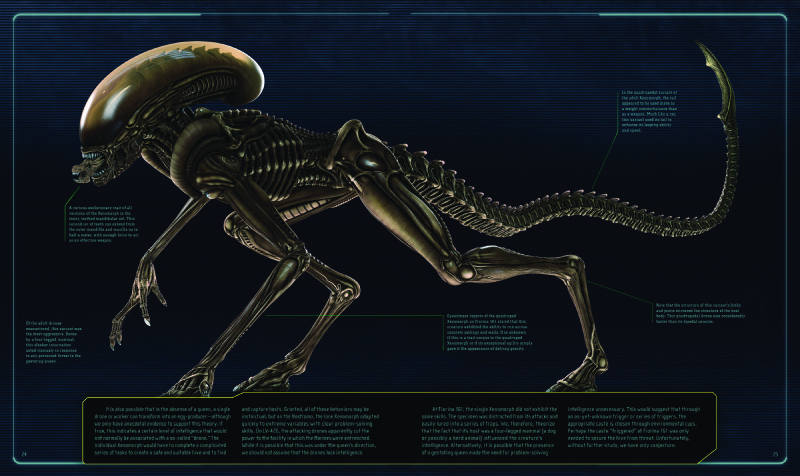 Giger and Stan Winston designs and the likes of Ridley Scott and James Cameron at the helm. Great graphics and layouts, full-color thick pages, photographs from the films and new artwork, and smart text. It’s pretty hard to beat. A book recommended for fans of the Aliens series, pick up a copy now here at Amazon.com. Aliens fans will also want to check out our review here at borg.com of Aliens: The Set Photography from earlier this year.